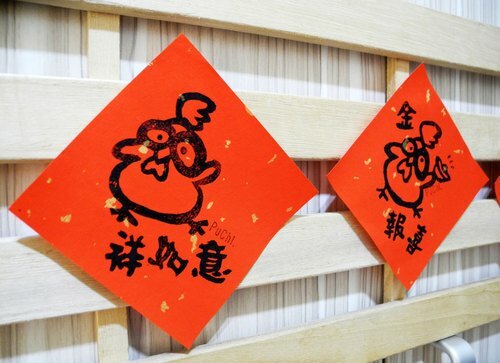 Following the end of western world’s holiday season, Chinese society is preparing for the celebration of their new year suggested in the lunar calendar. (A fun fact: 2017 is the year of rooster!) For children, Chinese New Year is always fun, red envelope, big feasts, and family gathering; however, not so much for adults. Not only being known for its large-scale celebration and the power to bring together the community, the festival is also known for its lengthy rituals. Pay tribute to gods – Chinese people will visit temples or prepare a feast at home to pay tribute to gods. This symbolizes appreciation for the gods for protecting the whole family in the year and hope they can continue watching over the entire family and drive away evil spirits. Clean the house – this custom, by cleaning and throwing away old stuff, symbolizes the family can start a year with a fresh start. Stick Chinese New Year couplets on the door – usually with words or phrases that symbolize blessings. Have New Year’s Eve dinner with family – the most important dinner of the year, especially for those family members away from home. There are several dishes that will definitely be served during the meal, such as fish and dumplings, suggesting prosperity. All of the above are on the adults’ to-do list for Chinese New Year, not to mention they have to splurge money on giving the children red envelope and buying gifts for friends and family, too. But with the advancement of technology and globalization, people now have more alternatives to innovate and keep up with the old customs. Write your own New Year couplets – Typically families will buy the New Year couplets with blessing words on them; however, having the same words on the doors could be boring, why not create your own couplets with special meanings? Let children sketch out their new year’s resolution or wishes for the year or exchange the New Year couplets with one another can be just as fun as Christmas gift exchange! 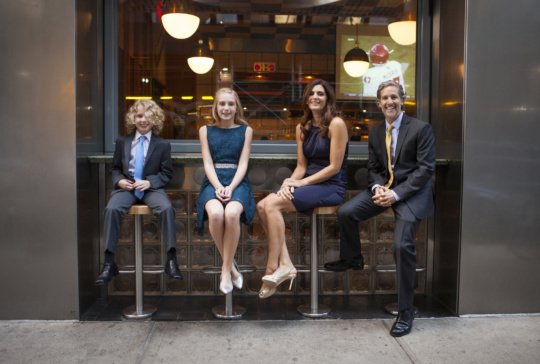 Dine out for New Year’s Eve dinner – Making the New Year’s Eve dinner is always a nightmare for moms worldwide. Just like Thanksgiving dinner, the preparation has to start days before, and the competition between moms, meaning all female characters like grandma, aunt, sister-in law are all expecting a perfect feast, is intense. Let us suggest we leave the hassles to the professionals and enjoy a 10-course (or more!) New Year’s Eve meal peacefully with your loved ones. Family trip – Instead of hanging out at home for the entire week, travelling may be a good alternative to bring the family together and explore new things. Since all popular destinations within the country are guaranteed to be packed, many people choose to go abroad for Chinese New Year. New York City, Paris, Milan are all popular cities to spend some quality time with the family. Find out more travel destinations recommended by The Lonely Planet. Don’t forget to book a vacation photographer to capture your memories, too!